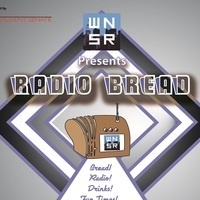 RadioBread! (Made from Scratch, for You) is a listening show for student work published by WNSR, New School Radio. Join us to celebrate WNSR's programs and student producers. Enjoy student work, a talk, and homemade bread (including gluten free options!) for sale. Learn how to become a part of our community! WNSR New School Radio is The New School's only student-run media platform. We are a web-based station which operates through a partnership between the WNSR student organization and our graduate and undergraduate classes. Founded in 2007 and expanding every year, WNSR is a space for the New School community to play their music, share their work, and speak their minds.